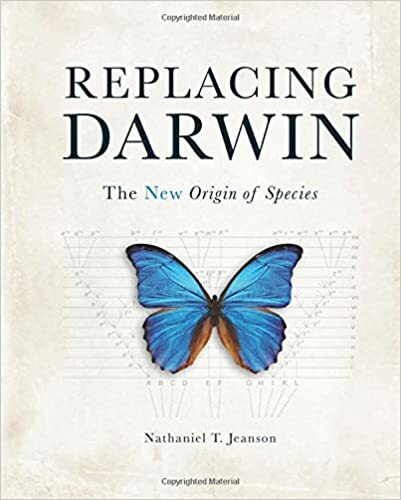 Jeanson, a young Earth creationist, may not have the answers but he has certainly got the right question: Even Darwin would not be a Darwinist today. So what now? See also: New “fixed” bacterial Tree of Life looks like a cityscape Surely this is only the beginning of major reorganizations. The really exciting news is that splintering lecterns in favor of how very, very fundamental current beliefs are and why everyone must believe them is giving way to specific attempts to address the mess. Darwin travels through time to the year 2000 where he is transfixed by a show he sees on television. The name of the show is “The Island of Dr. Moreau”. Just as the movie ends he is brought back to 1858 and feels his concepts are validated by what he just observed. Will this be recorded or do you have to watch it live? Undoubtedly his theory would be different than the one he originally proposed. After all, his original theory was dependent on a source of heritable variation, but he had no idea how it worked. He knew nothing about DNA and mutations. He new nothing about Mendel’s work. He new nothing about HGT and meiosis. He knew nothing about genetic drift. He knew nothing about epigenetic. Whether or not he would still accept unguided evolution as the source of the diversity of life is anyone’s guess. I suspect that he would, but that is just supposition. Rather than asking what Darwin would think if he were presented with current evidence, a more interesting question would be what Darwin would think if he were born in the 1950s and exposed to the current evidence rather than being born in the early 1800s. A Darwin of today would be an IDist. Even Antony Flew couldn’t fight back the evidence his entire life. He also couldn’t fight back dementia. Evidence, R J. It is what ID has and evolutionism lacks. You have to be demented to think unguided evolution has any scientific merit.